Autumn is well and truly here. The days are getting shorter and the weather has suddenly turned much colder. At around this time of year, my enthusiam for all things yarn realated increases dramatically. I’ve been busy knitting and crocheting away of the past few weeks. 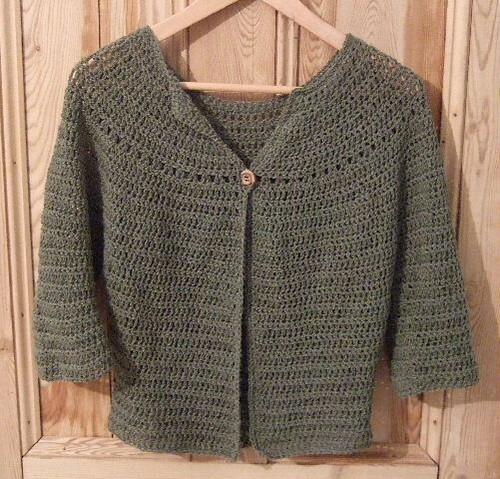 I’ve finally finished the olive cardigan. 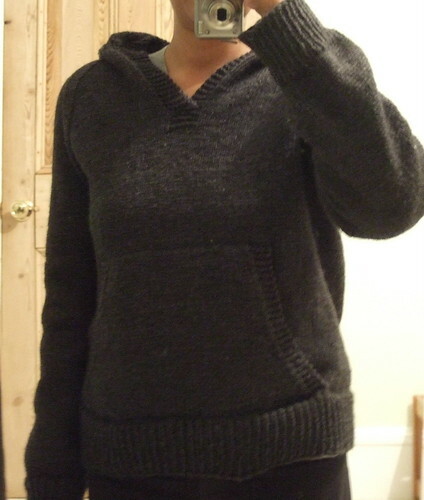 I’m pleased with it, but it’s really a spring/ summer cardigan so It probably won’t see much wear until next year. I also finished the charcoal wallaby. This is lovely, warm and cosy, and will definitely get a lot of wear over the next few months. I have three or four more cardigans planned, two will be machine washable, and I wll be using a wool acrylic blend for those (wendy aran with wool – comes in a big 400g ball and is very reasonably priced) and I have ordered some lovely wool and wool/silk blends from New Lanark Yarn Shop for the other two. More details in my next post! The sweater looks so cosy and warm! I cannot print 2 of your patterns, the Olive Cardigan & the Shell Stitch Cardigan, I don’t know why? Can you please e-mail them to me. I love your crochet patterns. I made the One row cowl with alpaca yarn and I am making using the same pattern, cotton crocheted valances for my mom’s kitchen out of verigated cotton yarn and they are turning out fantastic. Keep your crocheted patterns coming, they are just wonderful!! !